Today, the world's largest land mammal is in crisis. All three types—Asian, African forest, and African savannah—are listed as threatened on the IUCN Red List. WCS has the strategies and programs in place to help them reclaim their former range. Illegal hunting and habitat loss are having a big impact on elephants. 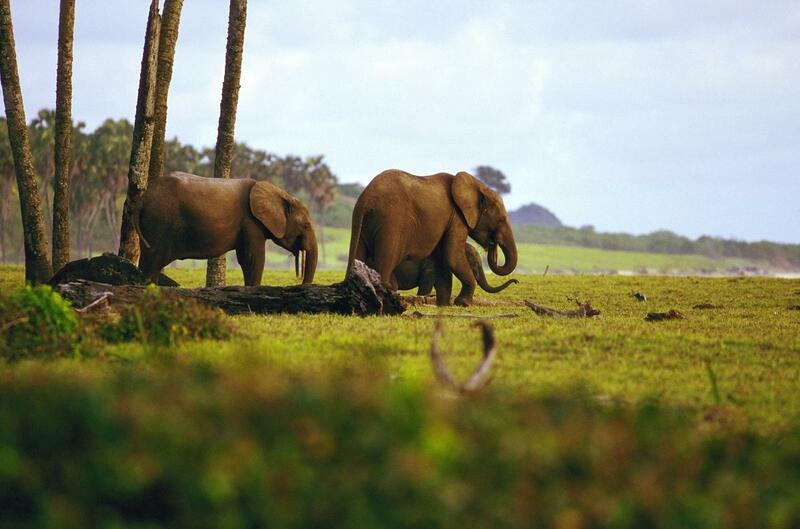 Between 2002 and 2013, the Central African forest elephant population dropped 65% and its range shrank 30%. Some populations of savannah elephants have also suffered major losses: in Tanzania and Mozambique, recent surveys show their numbers have dropped by 60% and 40%, respectively, in the past five years. Both African forest elephants and Asian elephants occur on only about 10 percent of their historical range. A world where people and ecologically functioning populations of wild elephants can co-exist and thrive across the elephants' range. Monitor elephant numbers, poaching rates, and threats to elephant habitat at key sites in Africa and Asia. Reduce the demand for ivory. 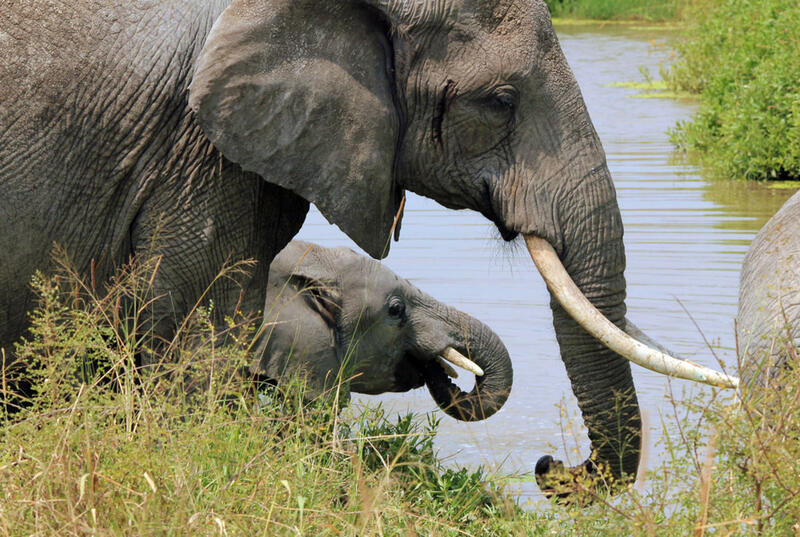 WCS works on elephants in 21 countries, including nine in Asia and 12 in Africa. Our programs cover 28% of the African forest elephant population, 14% of the African savannah elephant population, and 40% of the Asian elephant population. Elephants play a critical role as ecosystem engineers, maintaining mineral-rich clearings in the forest, on which many other species rely, and providing a way for important soil nutrients to be spread around at a continental scale. As seed dispersers, they also help maintain the largest tree species, which happen to be the most important for carbon sequestration. Illegal hunting to feed the ivory trade is an enormous threat, with some 100,000 elephants across Africa killed illegally between 2010 and 2012 — or one every 15 minutes. We work with governments and other partners to enforce the laws by training rangers, deploying SMART (an open-source software system that improves anti-poaching efforts and overall law enforcement in conservation areas), developing intelligence networks, and working with judiciaries to ensure that arrests result in due-process prosecutions. Management of the park in Congo is a public-private collaboration between the Congolese government, local communities, WCS, and private donors. In 2014, WCS President and CEO Cristian Samper wrote on the Huffington Post of its success, as it was reported elephant numbers had risen by as much as 50% over four years. In India, for instance, in 2011–12, WCS staff were highly instrumental in the expansion of four protected areas in the Western Ghats region by a total of 1,250 square kilometers. 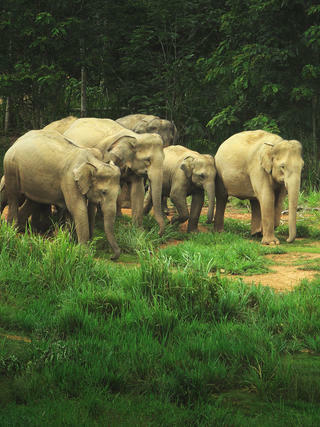 At the time, the region was home to roughly 5,000 Asian elephants. In Burma, following surveys by WCS and the Forest Department, the Burmese Government designated a 4,000 square kilometer area of the Hukaung Valley in northern Myanmar as a wildlife sanctuary. We then worked with the Forest Department to identify key areas for elephants within the reserve. When it comes to monitoring elephant populations, we are an acknowledged world leader. This monitoring is vital to conservation efforts, informing us and our partners whether our efforts to protect elephants and their habitat have been successful or need to be modified. We also use the data gathered to influence elephant conservation policy. 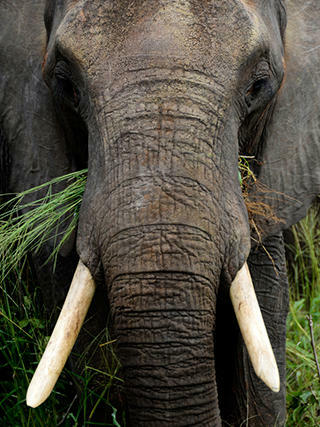 "Devastating Decline of Forest Elephants in Central Africa"
In March 2013, the journal PLOS ONE published a ground-breaking study led by WCS scientists. The paper analyzed the largest survey dataset on the species ever assembled (representing over 90,000 person-days of fieldwork) and painted an alarming picture. In just a decade, the forest elephant in Central Africa had lost 62% of its population (at the rate of 9% annually) and 30% of its geographical range. In countries along the trade chain, where ivory trafficking is especially prevalent, we strive to improve the work of the judiciary and enhance the capacity of local enforcement units, including customs. We help governments inventory and secure ivory stockpiles, often by destroying them to ensure that the ivory cannot re-enter the illegal trade. 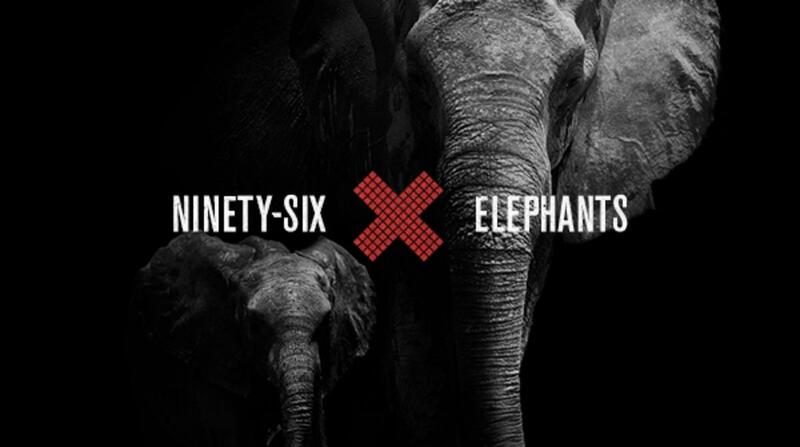 To build support for elephant conservation and help stop ivory trafficking in the U.S., in 2013 WCS launched the 96 Elephants campaign. Since then, hundreds of thousands of supporters have pledged not to buy or sell ivory and to support a ban on commercial sales of ivory. In 2016, a federal ivory ban went into effect—a complement to the bans passed in key states like Hawaii, California, New York, and New Jersey. Project for the Application of Law for Fauna (PALF) is a multi-partner venture, including WCS, that works to stop wildlife trafficking in the Republic of Congo. PALF investigates promising leads, coordinates arrests, and follows and supports legal proceedings, minimizing opportunities for corruption and helping ensure deterrent sentences are handed down. The WCS China Program works to engage with existing or potential ivory consumers there, aiming not only to raise awareness but to change behavior. We are also working with Chinese academics, government agencies, and other policymakers on the driving factors behind the ivory trade, with the aim of providing an evidence base and solutions to help inform ivory trade policy improvement in the country. In May 2015, WCS collaborated with Beijing Customs and WildAid, to convince travelers at the Beijing Capital Airport to pledge to “Bring no ivory home." This followed a similarly successful pledge drive at Guangzhou Airport in 2014. The John D. Dingell, Jr. Conservation, Management, and Recreation Act was signed into law today. As the European Union (EU) continues deliberations on the potential closure of its domestic ivory market, WCS noted recent developments to call for the strongest EU trade ban possible. When you give to WCS you're helping ensure a future for the earth's most magnificent creatures and the habitats critical to their survival. Make your tax-deductible gift today!